40 of the British Isles’ biggest stars of the time gathered to record a song for African famine relief under the name Band Aid. “Do They Know It’s Christmas?” featured memorable vocal contributions from Bono, Sting, Boy George, George Michael and many more. Using music to raise awareness for the starving people of Ethiopia strikes at the heart, and evokes emotion which is connected with suffering and the added impetus of Christmas gives the spirit being emotively invoked. Lyrics such as "And the Christmas bells that ring there are the clanging chimes of doom, Where nothing ever grows, No rain nor rivers flow" has a sadness attached to it which gives the listener a feeling. You cannot help but feel affected by reacting to the record. And proving that it did just that move people with its heart wrenching lyrics the song which was released on November 29, 1984 went straight to No. 1 in the UK. It became the fastest selling single of all time in the UK selling a million copies in its first week alone. 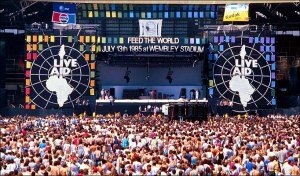 Following the success of Band Aid, Live Aid was born. For one day on July 13, 1985 an estimated 1.4 billion of the planet’s five billion people stopped and watched Geldof’s “global jukebox,” and were treated to one of the biggest, most ambitious concerts ever staged. Live Aid had almost 95 percent of the world's population watching on their TV sets. It's an incredible statistic when you consider that it happened before the Internet, cell phones, e-mail, text messaging, instant messaging and blogging. 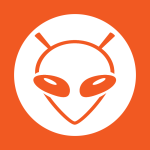 Music connecting people of all races across the globe united for one cause Famine. It is now estimated that around £150m has been raised for famine relief as a direct result of the concerts which were held around the globe in England, United States, Australia and Germany. 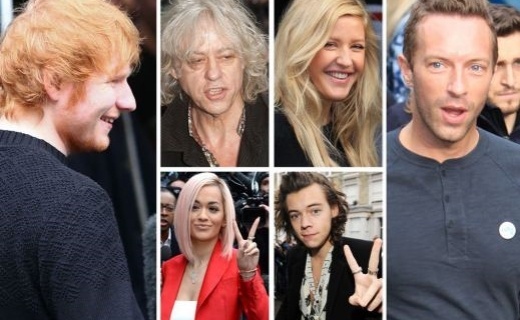 Band Aid 30: Music is used to raise awareness for Ebola. Thirty years later and a new cause to fight in West Africa this time, a new generation of pop-stars were gathered to perform the re-written lyrics to "Do they know its Christmas?" such as Rita Ora, One Direction and Ed Sheeran to name a few. They have lent their time and their voices in order to engage an audience about the disease Ebola which is ravaging West Africa. In just five minutes after the new single debuted on Sunday nights X Factor results show in England the song had raised a staggering £1 million. 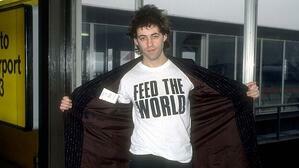 “It’s gone manic,” Geldof told BBC Radio 4. “That’s the digital age. We promoted the single on X Factor. Simon Cowell gave us five minutes of the show last night. Once again proving that when music is used it is a common phenomenon that crosses all borders of nationality, race and culture. Music is used to strike at the heart. Evoke emotion, connected with suffering. Much has changed since the original Do They Know It’s Christmas? which sold 3.7m copies, raising £7m for famine relief such as, technology and the way we are listening to music is a lot different from thirty years ago. The one thing that has not changed is that the re-incarnation of the song has once again proved music is a tool which is used to arouse emotions and feelings. 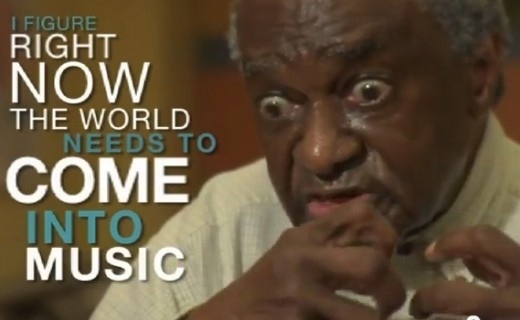 Music is far more powerful than language and speaks to people in more ways than a documentary ever would. People feel connected and can be transported to another place with music. Music can move people the way nothing else can, and this is why for Bob Geldof and crew the song is so powerful and it is intended to be so that people can have a heightened sense of awareness for the cause at hand. When music is connected to pain and suffering such as in this song, with the people of West Africa, it connects us even more to the song. Bob Geldof former lead singer of the Irish Band The Boomtown Rats is a singer songwriter, an author and a political activist. He is widely known for using music and lyrics which tug at the very soul in order to raise awareness for anti-poverty efforts concerning Africa. Not only did he co-write the lyrics to "Do they know its Christmas?" with the help of Midge Ure, from the group Ultravox he also organised the charity super-concert Live Aid in 1985 and the Live 8 Concerts in 2005. These days Bob Geldof spends much of his time hopping around the world making keynote speeches with the main focus being on Africa and the needs there. He has very influential friends which he refers to by one name such as Bill Gates, Mark Zuckerberg. With his recent effort gathering the new generation of pop stars for re-written lyrics of "Do they know its Christmas?" he's urged Hailing the sales as "incredible" and "beyond out wildest expectations." As with all things music, this project has seen its fair share of criticism as it did thirty years ago when it was first released in 1984, the Do They Know It’s Christmas? 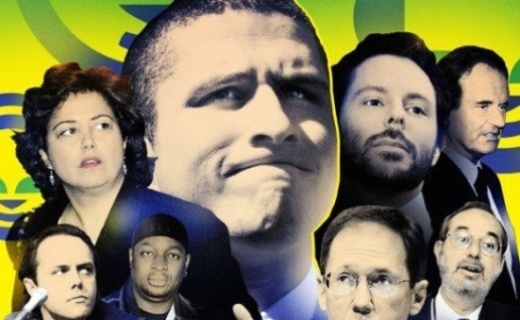 came under fire for perceived inaccuracies and offensive lyrics. At the time, the line ‘There won’t be snow in Africa’ was criticised by those who pointed out there is snow in some parts of the continent. Many saying that the record continues to stereotype Africa with poverty and disease. Some are saying that West Africa is largely a country of Muslims and therefore do not even celebrate Christmas. Any which way you look at it, music and this song in particular has conjured up emotions with people whether it be positive or negative, we all have a feeling about it. As for Bob Geldof and his new posse all this talk about the re-worked single is having a positive impact as the song has already raised over one million dollars and is expected to top charts this week and is favourite for a Christmas No 1. Even UK chancellor George Osbourne has waved VAT on sales of the Band Aid 30 single, which means all proceeds will go to West Africa. We'd love to hear what you think about it? Do you like the song? Does it strike a chord with you or don't care either way as it's for a good cause?